China is taking active measures against a major escalation in the brewing trade-war with the United States, and "won’t allow the U.S. to use chips as a stick against it", following Monday's ban of American component sales to Chinese smartphone manufacturer ZTE, reported the country's state-owned nationalist tabloid Global Times. "The Trump administration is helping us Chinese make such a decision," the paper said, "thanking" Trump for forcing China to take measures that eliminate China's reliance on US technologies. Trump's latest trade war salvo appears to have unleashed a tide of patriotic backlash in China’s cyberspace. A photograph showing ZTE’s 76-year-old founder Hou Weigui with senior executives at a mainland airport about to catch a flight to the United States prompted a torrent of messages of support: “Trying so hard, bearing so much, all to fight for China’s interest - how touching!” said one popular comment that played on a comparison with a late Qing dynasty official, Li Hongzhang, a chief negotiator in the first Sino-Japanese war. Curiously, a bifurcation in sentiment promptly emerged, and while sympathy for ZTE swept across Chinese social media, most official domestic newspapers have chosen to cast the blame for the telecom equipment maker’s troubles on China’s heavy reliance on foreign semiconductors. In one widely circulated photograph online, an unidentified restaurant erected a banner with patriotic slogans calling for solidarity and offering ZTE employees free meals. “If it were not because of ZTE’s strength and ability to represent China, it would not have been punished like this,” the banner said according to Reuters. Another Global Times article said the move against ZTE was a strong push for China to strengthen its domestic chip industry. 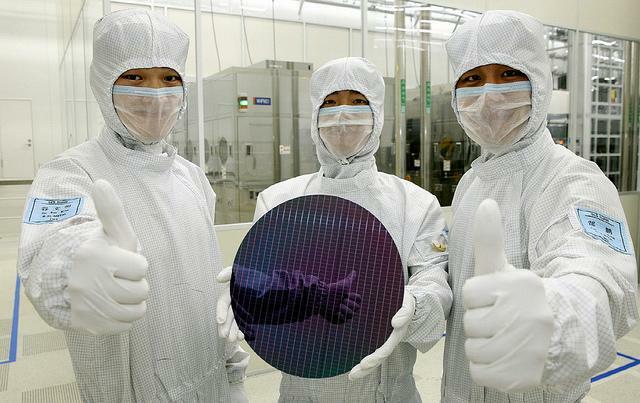 China’s semiconductor-related imports from the United States last year came to $11 billion. At this rate, it's only a matter of time until - in a rerun of China's territorial and trade spat with Japan from 2011/2012 - China's populist press urges the local population to avoid all US imports, including iPhones, leading to an even steeper deterioration in the US trade deficit with Beijing. Meanwhile, away from the media reaction, in response to the ban China is looking to supercharge the growth of its already aggressive push into domestic semiconductor manufacturing, two people with direct knowledge of the plans tell Reuters. On Monday, we reported that the White House has banned American companies from selling components to Chinese telecom-equipment manufacturing giant Zhongxing Telecommunications Equipment (ZTE) for seven years, accusing the company of lying during a settlement negotiation. Previously, the Department of Commerce determined that ZTE had made false statements to the Bureau of Industry and Security during 2016 settlement negotiations and during its 2017 probationary period. As a reminder, China’s No.2 telecoms equipment maker pleaded guilty in March 2017 of illegally shipping U.S. technologies to banned countries including Iran. ZTE also paid nearly $900 million in fines and penalties, and an additional $300 million that could be imposed in the future. The ban could be catastrophic for ZTE, the fourth-largest smartphone vendor in the United States, as it is estimated to rely on U.S. firms for nearly a third of crucial components such as chips in its products. In response, Reuters reports that Senior Chinese officials have been holding meetings with industry bodies, regulators and the country's influential chip fund, about accelerating already aggressive plans for the sector. The discussions underscore China's growing concerns over its reliance on imported technology from companies such as Intel and Qualcomm - which would be at risk as tensions flare between Washington and Beijing. An escalation here could also jeopardize China's ambitions to become an technological peer and equivalent of the US (largely by reverse-engineering the latest US technologies). As a result, “in the last few days senior Chinese officials have met to discuss plans to speed up the development of the chip industry” Reuters reported. China has made the semiconductor industry a key priority as part of its "Made in China 2025" initiative aimed at reducing dependence on foreign technology imports. The plan calls for at least 40% of all Chinese smartphones to contain domestically manufactured chips - which the government is plowing billions of dollars into. Qualcomm - which announced layoffs on Wednesday, provides ZTE with chips for an estimated 50-65% of their phones, as the Chinese smartphone manufacturer now struggle s to save its business and find new suppliers. Firms which stand to benefit from the ZTE ban include domestic firms Tsinghua Group, Huawei, Unisplendour Corp Ltd, Semiconductor Manufacturing International Corp, and Jiangsu Changjiang Electronics Technology Company.